The best thing about Facebook's creepiness is that you can get a glimpse into other people's fabulous ideas. A few months ago I lurked photos of my friend at a 50s themed bridal shower, and I absolutely loved it! The planning is fairly simple -- the invite establishes the theme, throw in a few decorative items to keep the theme going, and serve basic finger foods that use a ton of butter! 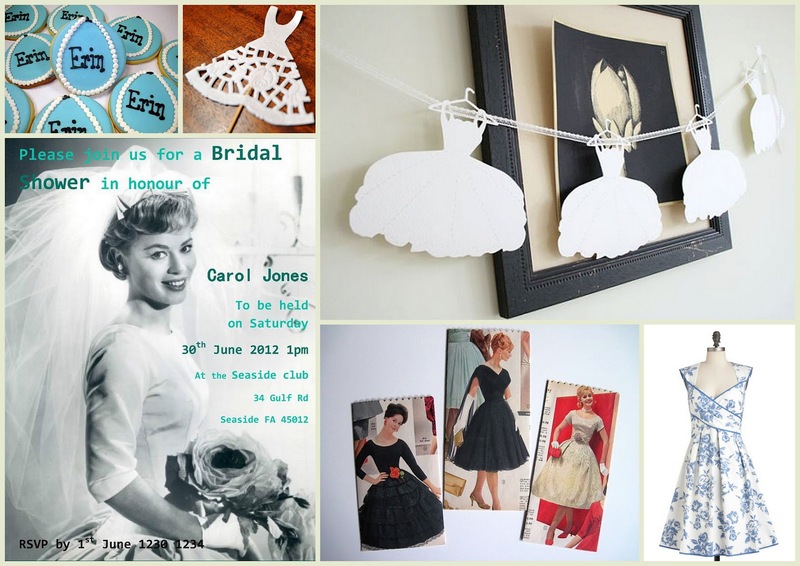 The real fun comes with having all the guests dressed from head to toe in 50s finery. Think full dresses, pearl necklaces, printed aprons, perfectly curled hair, just adorable! This is a very manageable bridal shower theme that is sure to be a hit with your gal pals. Cute post! And I love the first sentence hahahaha, creepy yet so true!